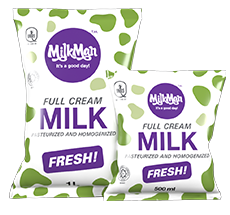 The good old taste of full cream milk. 100% natural milk, no preservatives and no additives. Most healthy and affordable choice for your family. All our products are UNBS and HALAL certified.